Durham, NC — In the 1700s, Emilie du Chatelet was a philosophy rock star. A scholar of Newton, religion, science and mathematics, du Chatelet traveled throughout Europe, had works translated widely and in 1738 became the first woman to have a scientific paper published by the Paris Academy. It should have been the stuff of legend. But as fast as her star rose in life, it fell in death — a fate that befell other female philosophers of that era as well. In subsequent years, their names and accomplishments were essentially whitewashed from the history of a male-dominated academic discipline. The result: Universities in the United States and abroad are still teaching essentially the same white male-centric philosophy curriculums they have for the last several generations. Emilie du Chatelet: a scholar of Newton, science and mathematics. For a long time, Duke’s philosophy education was no exception. But there are improvements afoot thanks to a new project led by Andrew Janiak, an associate professor whose expertise lies largely in the history of philosophy. He and a research team of staff and students — along with colleagues at Columbia and the University of Pennsylvania — are pushing fundamental, seismic changes to how philosophy is taught. Within philosophy, this seeming gender disparity has prompted a good bit of head scratching. Andrew Janiak discusses the web project. 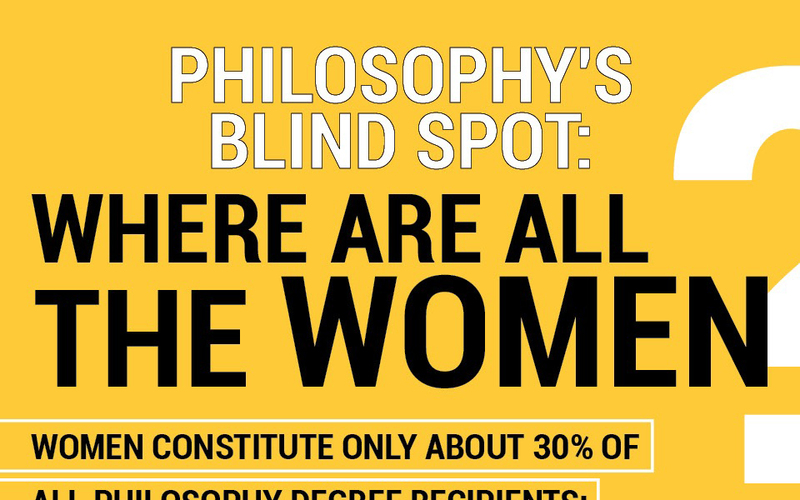 In the 2000s, roughly 26 percent of all philosophy doctorates at American universities were awarded to women, and today females account for less than one quarter of all professional philosophers. Janiak is taking a think-globally, act-locally approach to all of this. He started within the walls of his own classroom, adding a section on du Chatelet into his history of philosophy course. That two-week segment was so well received by students that Janiak immediately added versions of it to two other classes as well. Other philosophy faculty members at Duke are taking similar steps. But Duke, like most American universities, falls short in another area, concedes Alex Rosenberg, professor and former chairman of the philosophy department. Of his department’s 13.5 faculty lines, just four are held by women. Women account for less than one quarter of all professional philosophers. Learn more in this infographic. To reach the larger philosophy world, Janiak’s team is developing Project Vox, an open-source website to provide resources for teachers. It will include sample syllabi and translated writings of philosophers that until now have been under-studied. It will also include sample lesson plans, a response to concerns from philosophy teachers who say they’d like to use female philosophers in their teaching but simply don’t know how to because they were never taught the material themselves. The website will also house an archive of little-used texts that feature female scholars. One example: Deanova, the doctoral student, is translating a series of 12 letters between Gottfried Leibniz, a well-known German philosopher, and Damaris Cudworth “Lady” Masham, an English philosopher in the late 1600’s. He wrote in French and she replied in English, so the translations will help scholars and students who don’t speak both languages. “If you want this woman’s thoughts used in classes, you need students to be able to read the stuff,” Deanova notes. 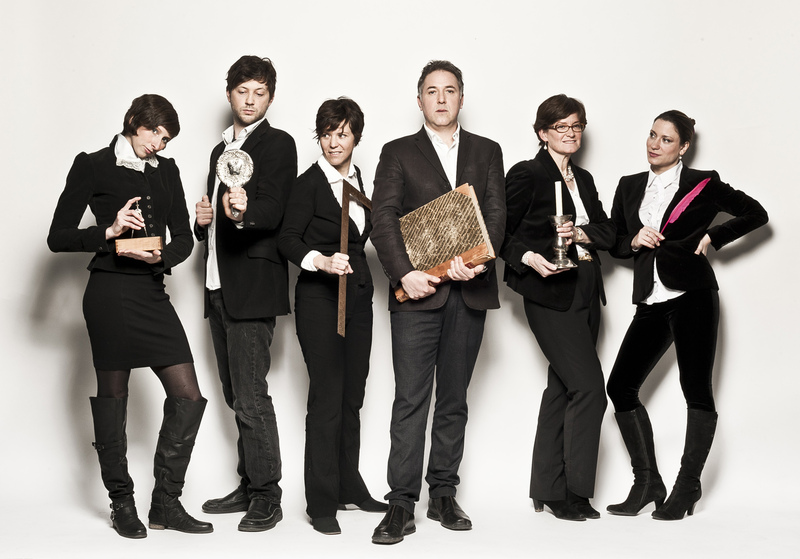 Andrew Janiak and the Project Vox team. Masham and Leibniz corresponded in the late 17th century. Other Duke staff members working on the website include: Beatriz Wallace, a graphic designer and graduate student in the master’s of fine arts program; Liz Milewicz, the head of digital scholarship at Duke Libraries; Will Shaw, the digital humanities technology consultant; and, Cheryl Thomas the philosophy librarian. The website will also serve as a digital clubhouse of sorts for scholars, a place to easily share ideas, teaching strategies and other resources, said Karen Detlefsen, a University of Pennsylvania philosophy professor working on the project. Visit the project website at projectvox.library.duke.edu. Graphics by Jonathan Lee. Project Vox team photo by Chris Hildreth, Duke Photography. Published March 9, 2015 .